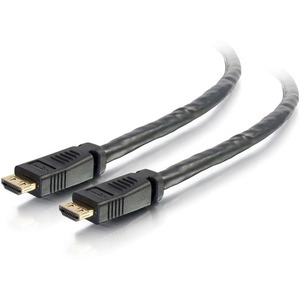 This standard speed HDMI CL2P plenum rated cable with gripping connectors is designed for connecting multimedia devices in an office, meeting room, or in other commercial environments. 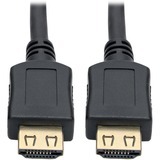 This cable can be installed in Audio/Video applications requiring HDMI features while meeting building codes that require CL2P plenum rated cables to be installed. 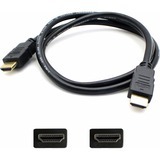 Ensure that your most critical equipment maintains signal with the gripping connectors which provide greater port retention than a standard HDMI connector. Make every presentation count by delivering crisp audio and pristine high definition video to any audience. 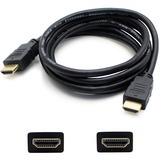 Whether streaming video or displaying a presentation this cable is an ideal solution to deliver audio/video content in demanding environments. 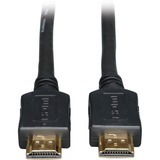 Ensure that your most critical equipment maintains signal with the gripping connectors which limit the chance that the cable could be accidentally disconnected causing detrimental downtime. There is no need for special locking sockets tie downs or screws that take up extra space and have a higher cost.